How do we optimize asset maintenance to prevent failure of assets? This is a question that looms large on Asset-intensive and Field-force driven Enterprises. Utilities being no exception, as they face tremendous pressure due to aging assets & workforce, intelligent devices and humungous amounts of data. Therefore, utilities continuously seek for efficient and effective ways to monitor and maintain their critical assets. Survey indicates that 58% of utilities want a mechanism for asset maintenance in all phases, starting from installation to decommissioning of the asset. Making a prediction of asset failure beforehand turns out to be one of the most efficient ways to keep a watch on the health of critical assets. This can be achieved by performing predictive analytics on large amount of data being generated by the Utility assets. With machine learning algorithms and text mining techniques, Utilities can leverage present and historical data to create data analytics models. Thus, Predictive analytics solutions can enable utilities to take well-timed and fully-vetted decisions pertaining to asset health. Improved customer satisfaction – Some critical goals to enhance customer satisfaction include managing asset risks, avoiding unexpected outages, and maintaining critical assets before failure strikes. Consumers expect to be notified about planned outages well in advance to plan their utility consumption. However, it is not possible to notify them when it comes to unexpected equipment failure. Adding predictive intelligence capabilities to the existing systems can help Utilities to control & avoid asset failures, outages, and penalties. Therefore, planning & prioritizing asset maintenance activities and informing customers about it will help achieve improved customer satisfaction. Reduced asset maintenance costs - Predictive intelligence system provides an accurate prediction of failures, events & outcomes. This would help avoid significant unexpected failure costs including lost revenue, expense of field asset in service, disposal of damaged utility asset, collateral damage cost, regulatory penalty, intangible costs, etc. Thus, eliminating the overhead of unplanned asset maintenance and reducing fixed costs in millions of dollars. Improved safety & compliance system - Integrating data from various sources such as SCADA, CIS, EAM-GIS, weather channels and online monitoring systems with Predictive asset analytics system enables utilities to address possible safety risks. They can quickly take any appropriate operational action and mitigate safety risks. Find out how a leading world-class Utility service provider successfully implements Meter Data Management & Analytical solution for Water Utility Clients to understand water consumption in real-time. Using this robust analytics solution, it is now able to manage 1 Bn+ data records per day coming in from 1.2 Million smart meter devices. Optimization of field force - Remote Asset Management & proactive maintenance systems can help utilities to keep a watch on the health of field assets at pre-scheduled intervals. This avoids the reallocation of field-force from existing location to restore the encountered outage and a complete reorganizing of other planned asset maintenance activities. As predictive analytics solutions need to manage data collected from SCADA, MDM, CIS/BIS and remote monitoring systems, some common data issues may arise. These include timestamp data conflicts, duplicate data, and multiple systems based data conflicts resulting in faulty analysis. Lack of an integration platform for varied data sources further aggravates this issue. The Subject matter experts can best define data to identify critical data points and eliminate irrelevant data items to go ahead with accurate, testable predictive models. Choosing a technology platform that best fits the exact business need is a major challenge. With the available cutting-edge analytics platforms, it is also difficult to make a choice between the best means to suit a utilities’ business logic. The analytics platform should have the capability to process structured as well as unstructured data. Also, it should integrate well with third-party modeling and statistical tools and should include cognitive capabilities to be able to process real-time events to prevent failures and predict outcomes. Microsoft Azure powered Advanced Analytics platform for real-time and predictive analytics is the most preferred platform for Utilities to consume intelligent capabilities to their existing systems. Predictive asset analytics is about improving asset utilization while minimizing Cap-Ex & Op-Ex and unexpected failures. However, planned asset maintenance may lead to an increase in maintenance costs. Predictive maintenance also brings-along work management gains due to planned maintenance, thus, maximizing the efficiency of costs, maintenance schedules, and resources resulting in higher customer satisfaction with fewer outages. 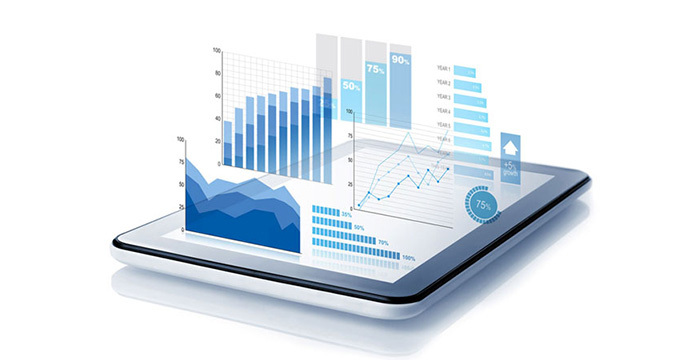 For any predictive analytics solution, the key building blocks include a statistical module for asset optimization, an intuitive dashboard for interpretation predictions, and an alert notification engine for failed events or upcoming overhaul. These components make the predictive analytics solutions viable for decision-making. Thus, by following a data-driven approach, utilities need to upgrade their IT infrastructure and must also have a skilled workforce to implement predictive analytics solutions for condition monitoring of assets and their preventive overhaul.